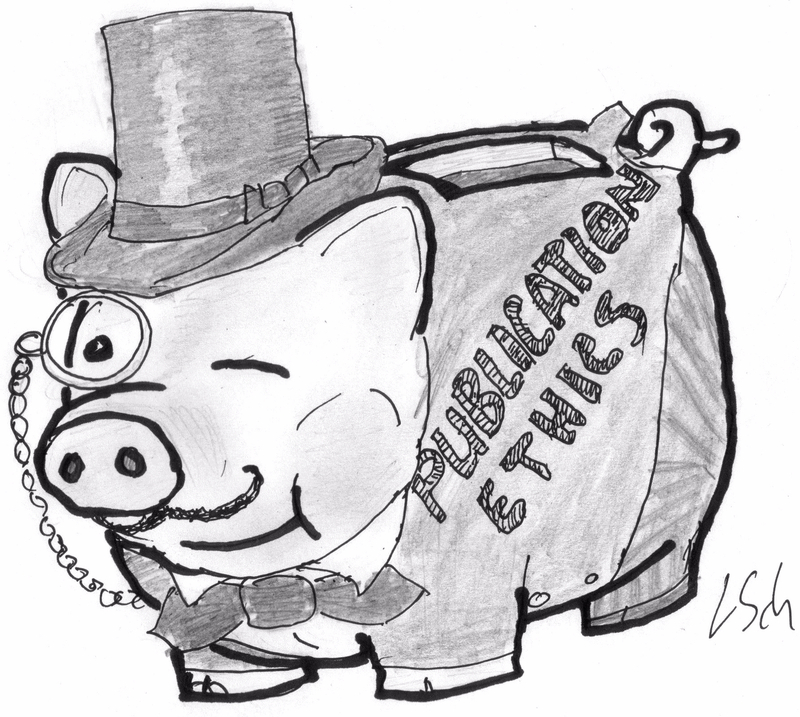 A small, highly specialized medical journal makes its first attempt at satire in 21 years. The New Year’s Eve spoof paper in question was a pretend randomized controlled trial (RCT), where toddlers were claimed to have been deliberately exposed to pain in order to study the efficiency of their mothers’ kisses at alleviating it. The author and the journal’s editor-in-chief intended this satire of evidence-based medicine (EBM) exclusively for their dedicated clinician readers, and did not expect a wave of anger, ridicule and confusion over social networks. Much less so, they did not expect being accused of predatory publishing. Now both found themselves in the need of explaining the humoristic nature of their publication and the original target of the satire. The paper, which appeared on December 29th 2015 in the Wiley-published Journal of Evaluation in Clinical Practice (JECP) was easily recognizable as satire to anyone who spent at least a minute considering its title or reading its abstract. It was titled: “Maternal kisses are not effective in alleviating minor childhood injuries (boo-boos): a randomized, controlled and blinded study”. Authored by “The Study of Maternal and Child Kissing (SMACK) Working Group”, it claimed to have exposed almost one thousand children to “experimentally induced minor injuries”, by tricking them into touching a 50°C hot plate or bump their heads under the table. The toddlers’ mothers were then supposed to either kiss or not kiss the injuries, while “‘sham’ kisses were delivered by a trained researcher”. Children’s pain was then measured using “a 15-point, five-domain, non-verbal tool”. @vectorgen @schneiderleonid Yes, it actually sounds almost like real. Although I just bumped my head under table and it was PAINFUL. The farcical hilarity of the study was maintained even into the literature references. There, citations pointed to invented papers like “Algebra and conversational Mandarin: it is never too early to start”, allegedly published in real journals like Child Psychiatry and Human Development. “The practice of maternal kissing of boo-boos is not supported by the evidence and we recommend a moratorium on the practice”. I was notified about this publication by the plant scientist and known sleuth of plagiarism and misconduct, Jaime A. Teixeira da Silva. My first reaction was: this must have been a prank on the journal and the respectable publisher Wiley, set to expose lax editorial oversight and lack of proper peer review, similar to the famous John Bohannon sting or a paper authored by the cartoon character Maggie Simpson. There, nonsense manuscripts have been submitted to a range of journals, some of which took the bait and eagerly accepted the papers, obviously expecting to receive a handsome publication fee in return. They had their predatory nature exposed, as it became obvious that no-one at those journals actually read the manuscript or at least cared the slightest bit about its quality. Was JECP another predatory journal, without a proper editorial board, yet published in subscription by Wiley? Who then was behind the prank? “a piece of medical satire by Dr. Mark Tonelli, Professor of Intensive Care Medicine and Bioethics at the University of Washington, Seattle, USA. It forms part of the JECP´s latest thematic issue on evidence-based medicine (EBM). The JECP has contributed to the international EBM movement for over two decades under my editorship. As satire, the piece is entirely fictional, a spoof, as it were, but directly intended to lay out a series of observations and critiques of EBM that remain relevant today, even though the EBM thesis has changed markedly five times and is currently in its sixth re-constitution. “From Horace and Lucilius to the present day, satire has always been regarded as a valuable tool, a device, with which to stimulate intellection. […] There is no joke or hoax or “prank”, merely the use of a time honoured editorial device, exercised through the mechanism of a specific commission with the rigorous process of external peer review which the JECP employs via its S1 system, being inappropriate in the context of the current case”. Miles sees satire “in small and appropriate doses” as very important in medical education. He further admitted being inspired by the British Medical Journal (The BMJ), which Christmas edition regulary contains satirically inspired or outright parody research articles. However, JECP was less publicly known for any kind of satire tradition, in fact Miles admits: “ In 21 years of publication, it is our first attempt!”. “I think I can speak for Andrew when I say that neither the Journal nor I intended for this piece to be debated in the public domain. Hence, there was never any consideration of a press release”. Exactly this seems to have been the problem, unforeseen by Tonelli and Miles: the article, despite their original intentions, has reached an audience way outside of the usual JECP readers. There, it was occasionally taken either to be real or a prank at the costs of the journal. What have the two well-meaning professors done wrong then? ” I like the acronym for the group of authors! In general, journals should combine humour and content more, to bring seriousness messages better across”. Tonelli and Miles were apparently determined to avoid getting involved into a media hype and wished to restrict their satire to a selected and well-informed audience. Miles issued an accompanied editorial to introduce the educative satiric piece, but what he did not anticipate was, as he put it,”Wiley´s much cherished rapid on-line early system”. He confesses that it did not occur to him that, because of certain editorial delays in the preparation of journal’s 21 (6) issue focusing on EBM, “Mark´s paper would appear in advance of my own intro in which the nature of Mark´s paper is made clear”. As a consequence, instead of informed light-hearted discussion among clinicians, angry emails and requests from science journalists started pouring in. The joke got out of control, an explanatory piece in Nature News became necessary. “Since not everyone will read my introduction before or after reading Dr. Tonelli’s piece it will be a good idea to annotate the PubMed Abstract with a cross reference to the introduction and I will consult with Wiley about how this might be done”. Wiley already reacted, and made things worse. The only initial give-away of the editorial origin of the spoof article was its open access availability, in an otherwise subscription-paywalled journal. But soon enough, some overeager Wiley executives have plugged this hole. The full text has disappeared behind the publisher’s paywall. It now costs $38 to learn about the efficiency of maternal kisses, but until Wiley finds out and interferes, you can get your free copy from The Federalist. I wonder if Wiley-Blackwell also ban me for being critical of Prof. Miles or of Bioessays? Following this attack on my personal stance, I backtracked and sent an email indicating that my comment was just a joke, something akin to giving them a taste of their own medicine. A few hours ago, I received a very frank, and concerned email from Prof. Miles, who explained the situation and the satire, quite honestly, and frankly. So, Prof. Miles should be applauded for trying to deal with this. Perhaps he should have received better counsel from the publisher, Wiley, prior to embarking on this venture? I believe that this satire carries risk because even native English speakers can be confused by the content of the paper. So, non-native English speakers will surely believe this to have been a real trial that was conducted, i.e., evidence-based research. I do however believe that the paper should never be retracted, and should be left as evidence of a the passionate debate that rages on both sides of the ethics and morality of hoaxes, spoofs and satirical pieces, which, despite their learning points and/or humour, may represent real risks and even lie on ethical boundaries. I applaud Dr. Leonid Schneider for writing a balanced and thought-provoking blog story on this. Jaime, please get in touch with me. “…the self-serving tendency of clinical researchers to always call for more clinical research are also highlighted.” This rang a bell from an entirely different field – sloppy “research” justified and perpetuated by an inevitable “more research is needed” chaser. I am Anuj Dwivedi completed my doctoral from Department of Botany, University of Delhi, Delhi, India. I came to know that earlier you were trying to contact with prof. Ved Pal Singh regarding the investigation of the publishing activities of Prof. Veena Agrawal, who had not provided you a satisfactory response to serious academic concerns about many paper. I would suggest you, batter to go with legal channel like RTI (Right to Information) and approach sri Prakash Javadekar ji Minister for Human Resource Development, Government of India, he will surely support you and take necessary action against her. If you need any support I would be happy to provide you and you can reach upto me on this mail address. anujdwivedi2009@gmail.com.